I believe in the power of story. It can comfort, challenge, and inspire. It can make us laugh, and it can bring us to tears. It can teach, take us on an adventure, and help us dream. 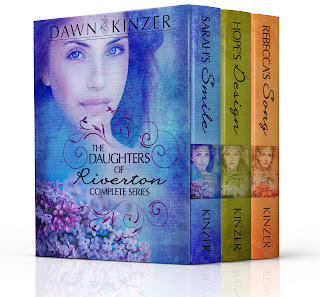 I’d like to introduce you to my current project—a three-book series, The Daughters of Riverton. These historical romances are set in the early 1900s, and they take place in a fictional town based on my own hometown and people who lived there. Sarah’s Smile, Hope’s Design, and Rebecca’s Song are currently available. The complete Daughters of Riverton series can also be found in a boxed set for Kindle on Amazon. Preview and purchase any of the romances below! You can also learn more about these stories and Riverton by exploring this site. Who’s the author behind the stories? You’ll discover some of those pieces by checking out About Me and Places I’m Featured. There you’ll find a replay of my FACEBOOK LIVE VIDEO interview with Patricia A. Durgin and Marketers On A Mission. 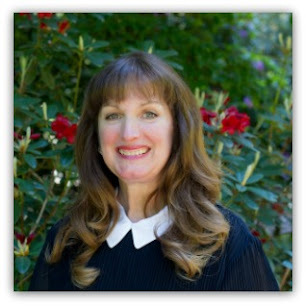 We chatted about my life, my writing, editing for other authors, and how I approach marketing. I’m passionate about encouraging people to pursue their dreams and find purpose in any season of life, so my stories tend to reflect those themes. If you’re looking for inspiration in those areas, please visit my blog The Garden of Dreams. Be sure to sign up for my newsletter, and along with keeping you updated on the novels, I’ll share photos, recipes, devotionals, and favorite movies and books. As a new subscriber, you’ll also receive my short story, Maggie’s Miracle, for FREE (PDF format). for the way things were. but can they share a future? a stubborn artist from the country. the other to work in secret. lost hope of having her own family.